The bentonite drying projects jointly built by our company and Shengquan Group will come to an end. Our company will continue to provide customers with comprehensive after-sales service. The project with the capacity of 300,000 tons per years, is one of the key projects under the cooperation of both sides. the project got much attention from our leader. In order to keep the progress running well and ensure the successful completion of the project objectives of bentonite drying. Our company dispatched experienced engineers to track project construction, supervision and coordination of the project for successful trial production to provide the elements of security. From signing of the project to the completion of whole project, the customer is very satisfied with our equipment, technology and service and look forward to expanding the friendly cooperation on other projects. 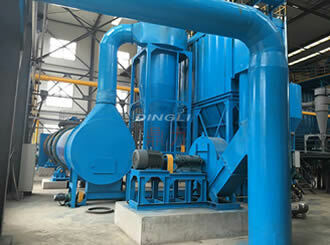 Bentonite dryer is developed by our company independent research and development department. 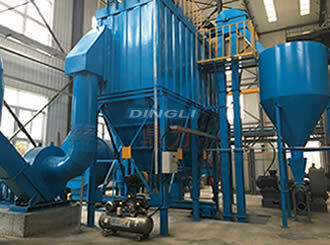 The device has a high degree of mechanization, large production capacity, simple structure, energy-saving and environmental protection and other notable features, which is the reason that many customers choose Bentonite Dryer choose our company . With continuous research, development, and innovation, Zhengzhou dingli manufactures high-quality equipment for our customers to help them create more benefits, which is one of the reasons of popularity.